Threshold Studios wins National Lottery support for new community-led heritage project in Lincoln. We are delighted to announce that we have received a National Lottery grant of £56,800 for an exciting community-led engagement project, This Is Us. The project will take place in Sincil Bank, one of the most culturally diverse areas of Lincoln. Made possible by money raised by National Lottery players, the project focuses on the changes in industry and migration in the area through the history of locally-based engineering firm Robey & Co Ltd (Est 1854 to 1988) and its workers. Supported through the Heritage Lottery Fund (HLF), This Is Us has been created in consultation with local residents, community organisations, support services for young people and heritage organisations in Sincil Bank and Lincoln. The project will enable young people, families and diverse communities in the area to explore the history of industry and migration around Sincil Bank and Park Ward through photography and storytelling. A Community Ambassadors programme will offer training in archiving and recording oral histories to portray the story of the place and its people. The Community Ambassadors will use these oral history interviews to create a new documentary film. This Is Us will also host a series of pop up screenings showing relevant historical films and produce a book about the project. Look out for updates on This Is Us coming soon – follow us on social media or sign up to our newsletter for more details of this and other exciting projects and opportunities. 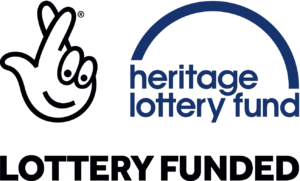 To find out more about HLF funding visit www.hlf.org.uk.